Nearly three-quarters of US middle market firms that currently sell and operate solely in North America do not intend to expand beyond the region in the next three years. So concludes a new research report published by the National Center for the Middle Market, a collaboration between The Ohio State University’s Fisher College of Business and GE Capital. The report – US Middle Market Firms and the Global Marketplace: Should I Stay or Should I Go? – was based on a recent survey of more than 350 companies in fifteen industry sectors in 45 states conducted by the Economist Intelligence Unit. Only 7 percent of those “domestic” firms – middle market companies with revenues between $10 million and $1 billion – are currently engaged in overseas expansion with “long-term growth prospects” being the greatest driver of their international business operations, the report said. The companies surveyed ranged from small exporters to mid-sized manufacturers with overseas operations. According to the majority of the companies surveyed, international expansion is “risky and expensive” with most of those saying that their focus on their “home market” is a strategic choice and that the costs of expanding abroad outweigh the benefits. The leading reason given by “domestic” firms that intend to “stay at home” is a conviction that there is no market for their goods or services with the next most common responses being a lack of knowledge about foreign markets and difficulties in finding the right local partners. On the other side of the coin, 57 percent of the firms surveyed that have expanded beyond North America say that overseas sales have met or exceeded expectations, while a further 24 percent believe that, although below expectations, revenue has been substantial. International activity helps the business in other ways: 41 percent of respondents say it has made them better competitors domestically, compared with just 14 percent who disagreed. 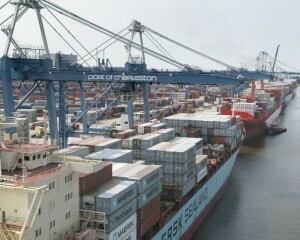 In 2011 the US led the world in exports selling close to $2.2 trillion in goods and services. Yet, measured as a percent of GDP, the US ranks fourth from last resulting in substantial opportunity losses for SME’s. US firms can do much better, benefitting both themselves and the US economy, but to get there they will need to overcome a history of resistance to cross-border trade. In real terms the 2011 US export numbers look impressive. Exports of goods and services grew year over year by more than 14.5 percent reaching a record $2.2 trillion – a far cry from the negative growth experienced in 2009 when exports totaled just $1.06 trillion.However, measured as a percent of GDP, the US ranks 189 out of 193 nations. According to the World Bank, US exports for 2011 were about 13% of GDP approximately on par with Pakistan, Ethiopia and Brazil. By comparison, China’s exports were 31% and Germany’s were 50%. These GDP numbers underscore the magnitude of a lost opportunity. If the US export ratio only matched the world average of 28%, annual revenues would increase by $300 billion. In raw terms, that amount would underwrite about 1.2 million new jobs (less those lost by companies shifting operations offshore for cheaper labor). Unfortunately persuading more US firms to take advantage of international markets remains an uphill battle. Like exercise, everyone knows it’s a good idea, but it’s still hard to get off the couch. There is a deeply held but flawed belief among a majority of US firms that exporting is simply not worth the trouble. According to a recent study by Deloitte and the Economist Intelligence Unit that measured sentiment of mid-market executives from across the US, only one-third of the companies contacted had opted to expand beyond US borders. Resistance comes in a couple of flavors: (1) there are more than enough opportunities for growth within the US and (2) the returns are too small to justify the risks particularly in emerging markets. The first point might be valid if US companies could count on a stable domestic economy. However when that is lacking, as it has been over the past four years, failure to diversify into multiple markets leaves companies more vulnerable to economic instability and restricts growth. As to the argument that it’s more trouble than it’s worth, emerging markets have never been as attractive to US marketers as they are now. Since 1990, growth in purchasing power (per capita income) has reached 17% surpassing per capita development in wealthier nations by nearly 7%. Although there is evidence that the rate of growth in these economies is decelerating (partly intentionally), GDPgrowth in developing markets over the next four years is expected to be 2.5 times greater than in developed markets. Numerous studies have shown that for both multinationals and SME’s the benefits of cross-border operations substantially outweigh the drawbacks. One survey of 202 non-financial members of the S&P 500 found that for the majority of companies international growth was a “value accelerator”. They showed greater revenue diversification enabling 20% of the companies to not only offset declines in their US businesses but also increase overall revenues. They had greater returns particularly among companies that focused on emerging and frontier markets where growth is currently averaging 6-8% per year. They were able to improve their return on capital and increase their reinvestment rates. What can be done to encourage US firms to take greater advantage of global market opportunities? US schools place so little emphasis on teaching geography and history that it is hardly a wonder that college graduates have less interest and understanding of the world today than their peers did in 1989. A study by the Pew Research Center showed that despite the vast amount of foreign news available on the web, only 17% of Americans are tracking European economic news closely and just 12% track the political violence in Syria. If the US does not restructure its educational system to instill an interest in the world from a very young age, all other efforts to increase US exports are unlikely to have much of an effect. In 2011, the China Ex-Im Bank provided some $300 billion in export financing. Canada’s equivalent backed up over $90 billion in export loans. The US Ex-Im Bank supported just $32 billion in loans (1.5% of total exports) of which 44% went to three major corporations. To its credit, the administration launched the National Export Initiative (NEI) in 2010 with the goal of doubling exports by the end of 2014 but trade officials will need to reconsider the scale of these support programs if US SME’s are to compete on a world scale. Global trade will always carry some risks, but there are ways that US companies can mitigate them. Think macro when it comes to leveraging regional opportunities. Establishing a foothold in one country can lead to far more opportunity in neighboring countries than doing so from US-based headquarters. Think micro when it comes to identifying niche opportunities, product innovation, marketing and support requirements. Ride the perception that US- manufactured products are still much admired for their quality. Think not just economics but also politics. Careful macro and micro political planning and data modeling can help anticipate and lessen the likelihood of regulatory change, increase access to free economic zones, manage incidents of forced corruption, ensure supply chain continuity and counter social causes of conflict. Hire locally as much as possible from management to labor to consultants. Advanced training and technology around the world has reduced the need for companies to transplant US nationals to new markets. Acquire political and trade risk insurance, but recognize that most political risk is not contractible. Conducting independent due diligence can offset the chance of confusion or conflict in the event a claim is filed. Explore all financing options provided by US agencies. Incentives have increased and bureaucracy has decreased as the US government has determined to make exporting a central part of the country’s economic growth strategy. According to the Bureau of Economic Analysis, American manufacturers produced 16 times more in 2010 than in 2000 largely due to the utilization of advanced technologies. When productivity savings are reinvested in new facilities and equipment, US companies can compete effectively with foreign rivals particularly in sectors where the country has a comparative advantage (electronics, information technology, medical equipment, and chemicals, for example). But more SME’s will have to jettison certain outdated ideas about the challenges of exporting if the potential benefits are to accrue to US workers. The U.S. continues to lose ground against other nations in Forbes’ annual look at the Best Countries for Business. The U.S. placed second in 2009, but it has been in a steady decline since. This year it ranks 12th, down from No. 10 last year. The U.S. trails fellow G-8 countries Canada (No. 5), United Kingdom(No. 10) and Australia (No. 11). Corporate taxes continue to put a damper on American businesses. Following a tax cut in Japanthis year, the U.S. now has the highest statutory corporate tax rate in the world. The effective rate is much lower thanks to numerous breaks, but owning the highest published rate makes for poor perceptions. New Zealand’s economy is closely tied to Australia’s, and both held up better than most during the global financial crisis. The downside to the resilience of its economy is that the New Zealand dollar has appreciated, making the country’s agricultural exports more expensive. The higher prices have helped to push up unemployment to 7.3%—the highest level since 1999. Canada slid from the top of the rankings in 2011 to No. 5 this year, losing ground on innovation and technology. The World Economic Forum’s annual Global Competitiveness Report says Canada is being weighed down by “a less favorable assessment of the quality of its research institutions and the government’s role in promoting innovation through procurement practices.” However Canada remains among the best countries in the world when it comes to trade freedom, investor protection and the ease of starting a new business. The Myanmar Gold Rush. Terrific opportunities, but don’t ignore the risks! As is eloquently described in the Wall Street Journal article below, newly opened for business Myanmar, offers fantastic opportunities for investors and exporters seeking new markets. As I was reading the article, I could not help but remember a very similar feeling couple decades ago that was permeating international business community, as the Russian market was opening up. There was excitement in the air, fast deals, terrific opportunities and promises of great riches. Yet as in any gold rush market, risks abound and should not be overlooked. It is vital to remember that along with business opportunities, all frontier and emerging markets carry with them such attributes as corruption, political cronyism, crime, lax or nonexistent rule of law, extremely fluid markets and bare knuckle competition from multiple international and local players. Thus, while it is definitely worthwhile to seriously explore and pursue opportunities in markets like Myanmar, it is very important not to be blinded by the gold rush itself and be mindful of the risks. Below is a partial reprint from my book Fluent In Foreign Business that deals with certain risk management principles that will guide you well, whether your company wishes to enter Myanmar, or any other emerging market around the world. Many foreign markets in emerging and transitioning countries offer tremendous opportunities for profit, market positioning, and growth. But the risks of doing business in those countries sometimes far outweigh the rewards. Risk factors run the gamut from reputational and financial to health and life. It is crucial to develop a sober risk assessment and consider it carefully side-by-side with the opportunities. Always evaluate the upside versus the downside. I’ve told this to my sons for as long as they can remember. But if you do business abroad, this maxim could one day save your life. You should always be conscience of protecting your 4 most valuable assets™ — your life, health, reputation and property. Understanding the downside of every action and transaction is vital. Things are not the same abroad, as they are back home. In the U.S. you can go to court to get satisfaction or call the appropriate authorities. In many foreign countries, especially emerging markets, you are more likely to be confronted by hoodlums (we have them back home, but they are not as prominently featured), crooked cops, reporters or inspectors who will try to shake you down, bend you to their will, and if all fails, make you a victim of a shooting or a beating. Be careful. Always try to ascertain what the worst outcome of a particular deal could be to you to your 4. As the example above demonstrates, it may not always be possible to assess every risk, but an in-depth analysis is required in each and every case. When structuring a transaction – any transaction – you must plain and simply understand who all the players are, who stands to lose how much, and what you are prepared to do if someone threatens you. Will you run, retreat, proceed, or attack? This is a serious issue that requires a sober and realistic assessment of your capabilities, your reputation and/or brand name, the potential damage to your 4 most valuable assets™, your financial condition, and your desire to enter and stay in a market. Pursuing the most lucrative opportunity isn’t always the best way to go. The opportunities with the highest upside must be evaluated together with any threats of harm. Probably the worst kind of opportunity is the one where the upside is very high and the downside is not very clear in the beginning, but becomes more apparent and real as the opportunity develops. Could you could get caught in political crossfire and become a target for the battling forces and be splattered in the process? What happens if the ruling party changes midstream? What about a change in leadership at your perspective customers, borrowers, and other interested parties? To minimize your risks, you will want to keep your business, your person, and your information secure. That means taking precautions. It also means that you have to be ready to absolutely abandon your entire business in the foreign country at a moment’s notice. In the movie Heat, Robert DeNiro, playing the part of Neil McCauley, defined his survival strategy: “Don’t let yourself get attached to anything you are not willing to walk out on in 30 seconds flat if you feel the heat around the corner.” A similar strategy should be employed when doing business abroad. Competitors and political enemies may be spying on you and plotting against the success of your business. It happens much more that you probably think. Reading this you may be asking, “Why would anyone spy on me, or have reason to harm me? I’m just a simple businessperson and my company sells basic consumer products.” You may be right, but you also may be severely underestimating what’s really going on. For example, picture the local oligarch who dominates the niche and enjoys a solid and consistent cash flow as your competitor. This person would not take kindly to intrusion into his market and would have the resources to conduct commercial espionage to gain a competitive advantage. He may also choose to engage in discreditation tactics in the press, or undertake even more sinister activities. An effective survival strategy must always include contingency plans. These could include getting out of a country in a hurry, implementing a crisis management plan, medical evacuation insurance, or knowing where you can borrow a few hundred bucks in case your wallet is stolen. You should also always assess the potential rewards as they relate to any additional risk you take on. Selling your goods or services at a modest mark-up, the same way you might back home, may not be enough if the risks are significantly higher. Even though your product or service offering should be competitively priced, you should NOT be involved in doing business abroad if you can’t price your offerings to compensate yourself for all the risks. If you can’t evaluate these risks on your own, hire professional advisors. Whatever it takes, make sure your upside is always much greater than the downside. For decades an isolated military dictatorship, Myanmar’s political reforms have heralded new opportunities for international businesses seeking emerging markets in which to expand. WSJ’s Patrick Barta reports. Photo: Christopher Davy for WSJ. YANGON, Myanmar—For Tim Love, a vice chairman of advertising giant Omnicom Group, OMC +0.02% it was an opportunity too good to pass up: an entire country, off the map for most Western investors for decades, embracing foreign investment in a place with untapped energy resources and 60 million people. But doing business here is something of a challenge. As a former military state, Myanmar has minimal infrastructure for conducting international business. Most foreign cellphone plans don’t work there, and newcomers must carry a lot of cash because it is hard to get money. Mr. Love himself met with a local advertising firm whose website credits its founder with “the actual creation of Myanmar’s advertising industry.” How did he find the company? He typed “advertising in Myanmar” into the Internet. From global multinationals to one-man entrepreneurs, businesses are abuzz over what may be one of the world’s last great—but hardly stable—business frontiers. Starting last year, a new, nominally civilian government took power in Myanmar and embarked on a broad set of political and financial reforms that has convinced U.S. and European powers to drop most economic sanctions. Christopher Davy for The Wall Street Journal Workers arrived at the Rose Garden Hotel building site in Yangon, the country’s largest city, on Oct. 20. The project was restarted last year, after a new, nominally civilian government took power. The result has been one of the biggest emerging market gold rushes since Vietnam and Russia opened up to more investment in the 1990s. For some companies, only Cuba and North Korea remain. That attention may only intensify, now that President Barack Obama plans to take early next week the first-ever trip to Myanmar by a U.S. president, as part of a wider Asian tour. The trip would have been unthinkable 18 months ago, when Myanmar was still considered a pariah state by most U.S. leaders. It is expected to further spotlight the country’s dramatic opening to Western business interests, while also giving Washington a chance to press for further social and economic reforms. Business leaders say the magnitude of the Myanmar opportunity is hard to describe. The population is larger than South Korea and South Africa, and almost triple that of Australia. Those people need factories to churn out products, power to keep those factories running and exploration technology to find natural resources for that power. Already, more than a dozen Fortune 500 companies have jumped into the fray:MasterCard Inc. MA +1.15% and VisaInc. V +0.22% are working to roll out credit cards; General Electric Co.GE -0.52% is hoping to land big electric power contracts; and Coca-Cola Co.KO -0.58% is negotiating to open at least one factory in an investment that could total as much as $200 million over three years, according to people with knowledge of the company’s plans. In a recent visit to the country, Coca-Cola chief executive Muhtar Kent presented Myanmar President Thein Sein with photos of Coke’s operations here from the 1920s and 1930s, just before Coke last pulled out, and made a case for letting the drinks juggernaut enter in full force again. Japanese, Thai and other Asian companies are trying to move even faster, with Mitsubishi Corp.,8058.TO -0.35% Mitsui 8031.TO -0.56%& Co. and Sumitomo Corp.8053.TO -0.10% each expanding their presences in Yangon, the country’s largest city. Thai construction and petrochemicals companies are trying to kick-start a $50 billion industrial zone and port called Dawei. “You can smell the change on the streets, in the hotels, in the airports—it’s everywhere,” said Ramesh Tainwala, president of the Asia Pacific division of Samsonite International SA,1910.HK -0.92% which now has five shops in the country and plans to add 15 more over the next three-to-five years. But the jury is out on whether Myanmar will prove to be a bonanza or a quagmire. When other countries such as Vietnam and Russia opened to the global economy, many of the first movers lost money. Lucrative assets wound up in the hands of politically connected locals or state-owned vehicles. Periods of euphoria were followed by market crashes. Many investors fear the same is about to happen in Myanmar. Overall, analysts say, the economy is largely a wreck, with spotty electrical power, few ways to move money in and out and a court system stacked with friends of the former regime. Corruption is worse than Zimbabwe or Sudan, according to Transparency International, a Berlin-based graft-fighting group. Complicating matters is the fact that U.S. foreign investors still have to be careful about talking business with Specially Designated Nationals, individuals the U.S. has sanctions against for alleged ties to the former military regime. Many of them are still powerful in the local economy—and pop up at trade conferences. For now, even ATMs here are rare, as are places that accept credit cards. During one visit, Ernie Bower, of Fairfax, Va.-based BowerGroupAsia, says he remembers being surrounded by wide-eyed staff members at a Yangon hotel who said he was the first guest able to use a card there in a long time. At least he had a hotel: With only about 1,850 rooms with business-travel amenities in Yangon, hotels that used to be 20% full much of the year are now often fully booked. None of this has gone unnoticed by the new government, of course, whose supporters acknowledge the country’s drawbacks, but also say Myanmar has some funding for change. The government, for example, has pocketed huge sums of money selling natural resources such as natural gas, which netted $3 billion in export revenues in the year ended March. 31. That is exactly how many newcomers see it. Dave Peck, an American-born chief executive of Singapore-based Arrow Technologies, says his company never got an order from Myanmar until a few months ago, when three separate traders there called wanting to source a highly specialized, $75,000 machine that analyzes surface roughness. It seemed fishy at first, he says, but after some investigating he learned they were supplying the machine to a university in Mandalay that had funding to upgrade its physics labs—a precursor, Mr. Peck says, to training more engineers to run factories. Now, he is hoping to set up distribution relationships with two of the traders to sell more. One of them has also asked for his aid to help order technical papers for the university, which it can’t do online due to the lack of credit cards. It all reminds him of the opening of Vietnam, he says. Denis O’Brien, an Irish entrepreneur whose Digicel Group mobile-phone company offers services in 31 countries, is also wide-eyed about Myanmar. He is looking to snag one of several communications licenses the country is expected to offer. He says he has been “mesmerized” by the country since his youth, when his godfather recounted tales of working on the famed Burma Railway as a World War II prisoner of war—and that it could be Digicel’s biggest market if the reforms keep on trucking. “People can hang around waiting for all the t’s to be crossed, but now is the time to invest,” he says. The new dawn in Myanmar has caught even its most avid followers by surprise. Formerly a British colony, it played a major role in World War II before a military junta took over in 1962, plunging the country into decades of isolation that culminated in Western sanctions over the past 20 years. The junta was notorious for weird and disastrous economic policies: In the 1980s under former dictator Ne Win, for instance, new money was printed with odd denominations such as 45 kyat and 90 kyat notes, reflecting the general’s numerological preferences. Chinese and other Asian companies continued to invest in the country’s natural gas fields, hydroelectric dams and other projects. But the military kept a tight grip on most ventures while leaving Myanmar one of the world’s poorest nations, with per capita gross domestic product equivalent to about $1,300—on par with Haiti. Fewer than 20 out of every 1,000 residents have vehicles, compared with more than 800 in the U.S. Only about 26% of the population had access to reliable electricity last year, according to the Asian Development Bank. Experts who follow Myanmar say they still aren’t sure why the former regime, which was accused of widespread human-rights violations, decided to dismantle itself. The new government, led largely by former military officers, which took power last year after strongman Than Shwe retired and dropped out of sight, has said it wants to bring reconciliation to the country and catch up economically with Myanmar’s neighbors. Many Westerners don’t doubt the sincerity, but no one really knows what will happen when the country holds its next national vote in 2015. Impatient youth groups have organized street protests recently, and analysts say they could become more restive if reforms don’t keep coming quickly. What is more, the country’s reformers have faced push-back from local business leaders and tycoons who are worried about foreigners getting their hands on too many of the country’s key businesses. Many of the tycoons snagged banking licenses and other important concessions without public scrutiny in the waning months of the former regime, and have pressured the government to ensure foreigners can’t fully enter some sectors. One wealthy Myanmar businessman, Zaw Zaw, says it is important to learn the potential of its people before handing over 100% ownership of some sectors to foreigners. “Otherwise foreigners take over, and then you lose the country,” says Mr. Zaw Zaw, who is among the “Specially Designated Nationals” still targeted by U.S. sanctions. He denies involvement in any inappropriate activities. His interests include construction, hotels, toll roads and one of the country’s largest banks, which he is working to expand before foreign players can get in, with 20 new branches planned for the coming year. But even gung-ho investors say the country has plenty of business sectors that would be hard to dominate, at least initially. Companies like Coca-Cola and PepsiCo Inc. PEP -0.35% have to compete with well-established—and cheaper—local brands that were able to lock up the market in the years when Western competitors weren’t present. In the cola business, those brands include products such as Blue Mountain Cola and Fantasy Orange, some of which sell for as little as 29 U.S. cents a bottle versus 53 cents in some stores for a can of Coke or Pepsi. To build the brand, Coke and Pepsi have plastered Yangon with advertisements, including giant billboards greeting visitors as they walk out of the international airport. “There has been some frustration,” says Peter Fuller, a managing director for Southeast Asia at Covidien, COV 0.00% an Ireland-based, U.S.-listed medical equipment supplier. His firm is angling to supply Myanmar’s dilapidated hospitals, but he says his staff was told during one visit that outsiders weren’t allowed to visit government hospitals. Under the old regime, such sites were often considered sensitive locations. A thriving black market presents its own source of competition. Several American companies that visited on a trade mission in July found large stocks of their products on Myanmar shelves—even though they never authorized anyone to sell them, according to people familiar with the visit. Western candy bars, snacks and tech gadgets flowed into the country during the years of military rule, smuggled in by distributors who picked them up in Thailand or elsewhere. Aung Naing Oo, an official at the government’s ministry of planning and economic development, says Myanmar is cracking down on the black market and has launched special task forces to tackle smuggling. Other reforms are moving along as well, including plans or pledges to bring in private companies to increase the number of cellphone users and to create multiple new “hotel zones” for all the new visitors coming in. The government has also announced tenders for airport expansions and has promised to offer oil and gas blocks, attracting declarations of interest from Chevron Corp. CVX +0.09% and others. Still, skeptics say that if Myanmar’s boom is to continue, the country will need to be able to offer both foreign and local business leaders one fairly basic item: an office. 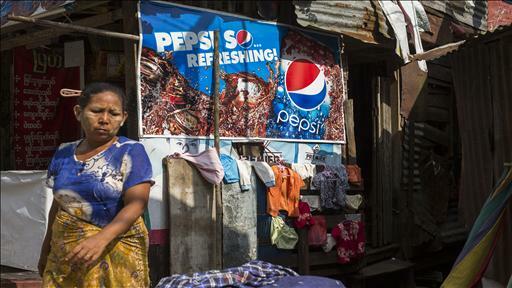 Already, the commercial capital of Yangon is showing signs of a bubble. Rents in the few available office towers—Yangon only has about 680,000 square feet of space, or the equivalent of a midsize office tower in New York—have more than doubled since last year to as much as $84 per square foot. That is higher than the single-most expensive building in neighboring Thailand, whose economy is seven times as large as Myanmar’s. It is costlier even than some towers in central Tokyo, where office space averages between $67 and $72 per square foot. “People refuse to pay, and then they walk away and come back two weeks later, and it’s $10 a square meter higher,” says Tony Picon, a local representative for Colliers International, a real-estate firm. Land prices are also going beyond rational levels. “No one knows what things are worth anymore,” he says. A version of this article appeared November 12, 2012, on page A1 in the U.S. edition of The Wall Street Journal, with the headline: Final Frontier: Firms Flock To Newly Opened Myanmar. As victims of hurricane Sandy, we count ourselves among more fortunate ones, since we suffered less than many others. 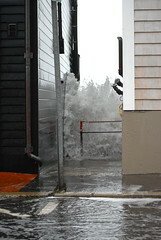 Although our office building had no power or heat for a week and our homes had no power, water and heat for six long days, we came out of this nightmare with relatively little damage and stronger resolve. Many have not been so fortunate and our hearts go out to them. We also want to do all we can to help raise money for the victims and to enable as many businesses as possible to rebuild and expand. Thus for the next 60 days we are announcing a Fund Raising Drive and will contribute 50% of all sales proceeds of our Global Country Profiles to help victims of New York and New Jersey communities and help businesses in the tri-state area, which were affected by the hurricane Sandy. These 180 unique profiles allow exporters, investors, franchisors and professionals who support them to improve they way they do business internationally. 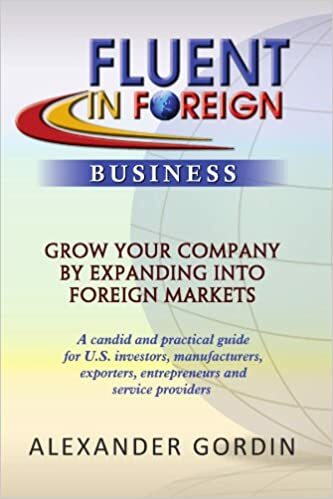 As our economy rebuilds and businesses look to grow their sales by expanding abroad, Fluent In Foreign provides the necessary tools. 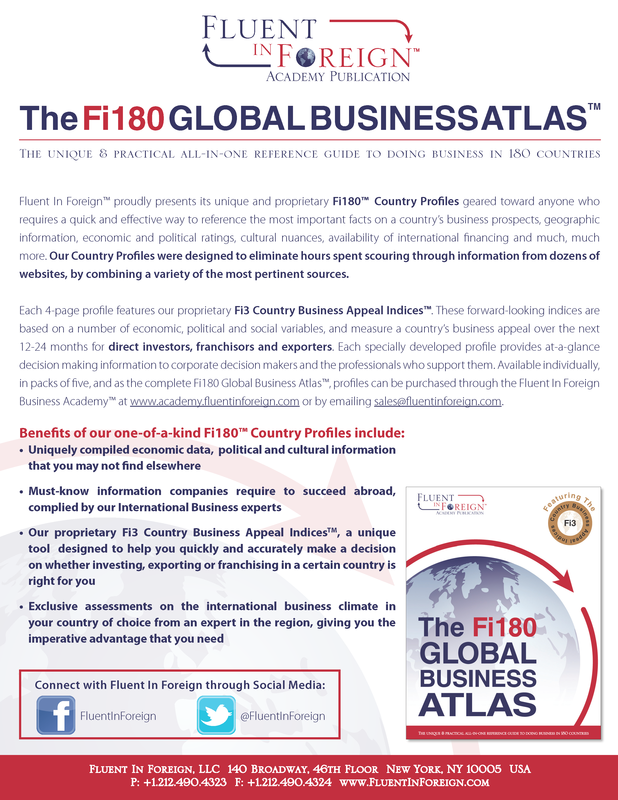 Fi180 Country Profiles are among the most popular and highly acclaimed. So now you can help victims of hurricane Sandy and have your business become Fluent In Foreign at the same time. The individual profiles start at $9.95 and are available at www.academy.fluentinforeign.com . Please support our efforts and place your order today for multiple profiles. Help victims of hurricane Sandy and your Fi180 Country profiles today.